This is a project I did a while back. 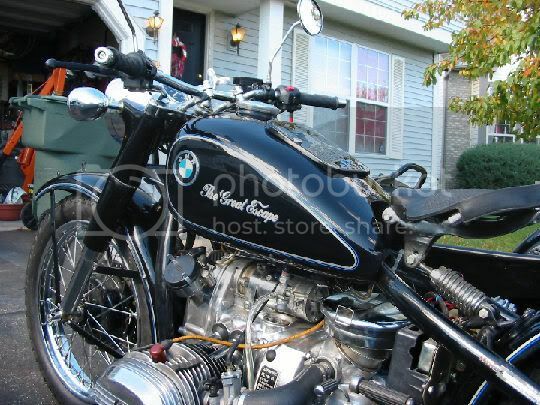 It is a CJ750 (chinese motorcycle) NOT a BMW. Please don't lynch me it was the customer's design but I did the work and I am proud of the paint job and specialty items. The paint is black base with several coats of clear coat and then wet sanded and hand buffede. The BMW logos came out of car hub caps and the beuty rings were made from 6061 aluminum. I also assembled the bike when it arrived from china in a crate. 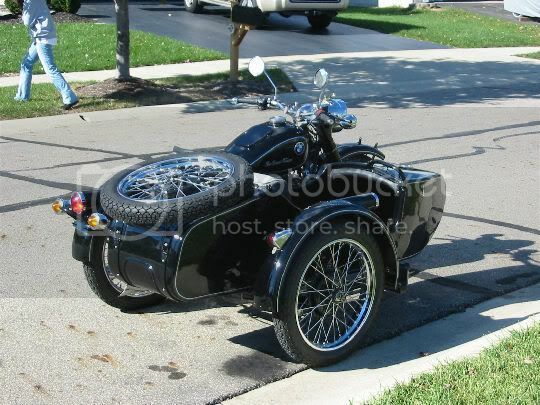 If you ever have a chance to work on or get one of these bikes I STRONGLY recommend you run the other way and FAST!!! I am NOT KIDDING!!! 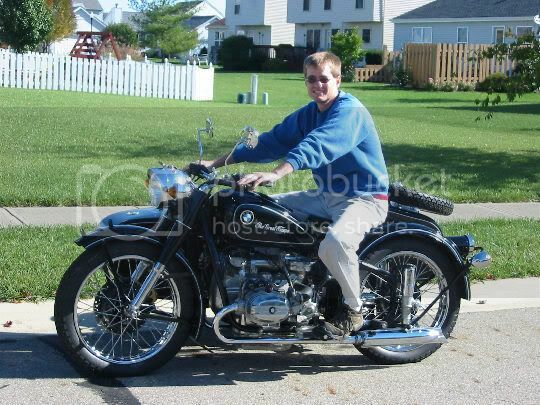 By the way that is me sitting on the bike in the first picture. Yup. Have heard some stories about those. Gotta say though, I do like the engine. The boxer twin is a neat style. Seams like it would have potential for a project if the engine is up for it. I can envision some cool frames for it.